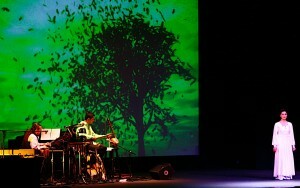 The Persian Rite of Spring, created by Niloufar Talebi in collaboration with composer and media artist Bobak Salehi, is a multimedia show about the mythology, poetry, music, folklore and celebrations of Norouz/Norooz/Nowruz, a millennia-old tradition celebrated by Iranians and others around the world. The birth of light and its victory over dark is an archetypical dynamic with a series of ceremonies from Yalda (Winter Solstice) through 13-Bedar (Outdoor 13) that usher in the renewal of the world each spring, which The Persian Rite of Spring brings to life. The Persian Rite of Spring world-premiered at the Los Angeles County Museum of Art of March 14, 2010 and was commissioned by the Farhang Foundation. ICARUS/RISE is a provocative and emotional multimedia theatrical performance of new Iranian poetry, translated, created and performed by Niloufar Talebi, with original score by Bobak Salehi, and choreography and video by Alex Ketley, featuring Chloe Felesina as Icarus. Woven of poems featured in BELONGING: New Poetry by Iranians Around the World (North Atlantic Books), and connecting the myth of Icarus with the solitary journey of the artist/immigrant in the quest for freedom, it tells the 30-year story of the migration of Iranians. ICARUS/RISE begins after the fall and is the journey to self-possession, featuring the emerging voices of Iranian poetry, including Ziba Karbassi, Granaz Moussavi, Maryam Huleh, Abbas Saffari, Jamshid Moshkani and Shahrouz Rashid, the poet of “Icarus”, as well as the poetry of Mina Assadi, and Yadollah Royaii. Based on the poetry in BELONGING: New Poetry by Iranians Around the World, ICARUS/RISE is inspired by the Iranian spoken word tradition of ‘Naghali’, which is practiced in the streets, cafes, public rituals, or ‘art music’ stage. By giving this spoken word tradition new content (new poetry in BELONGING) — rather than its usual content of classical Persian poetry and myths — and fusing it with western theatrical elements, ICARUS/RISE gives voice to hybrid-Iranians, reflecting their experience in contemporary society. This has never been done before, certainly not in translation, and not in the west. 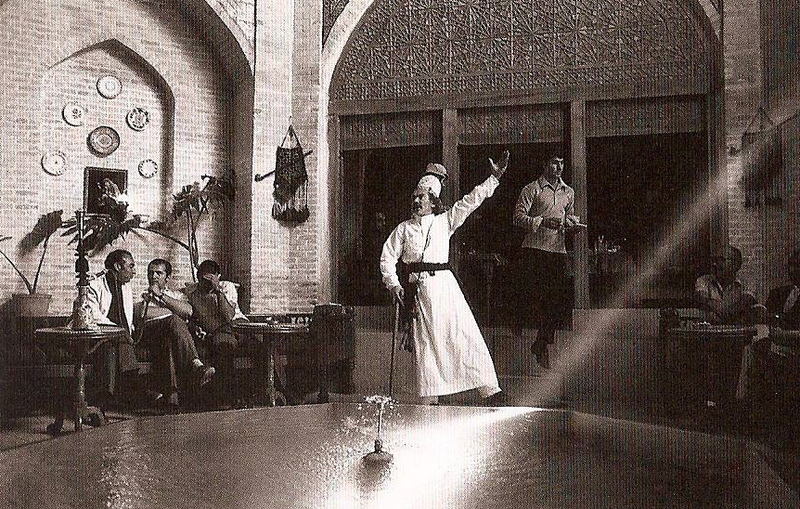 Many younger Iranian-Americans have never been exposed to and don’t have familiarity with their heritage tradition of Naghali and may not realize that global phenomenon like Hip Hop theater or poetry slams have cultural precedents in the Iranian traditions of ‘Mosha’ereh’ and ‘Naghali’. 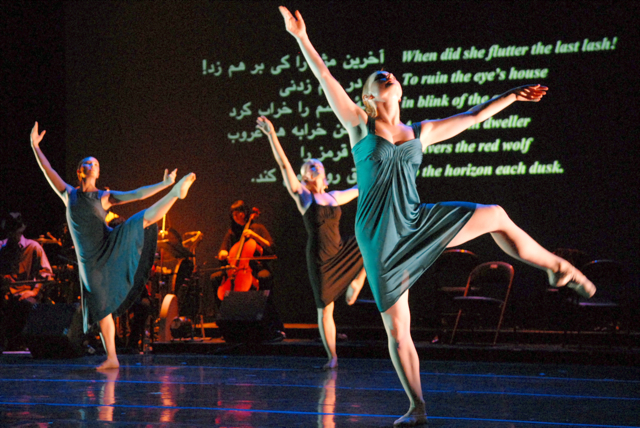 In the same way that Ezra Pound’s translations of Chinese poetry helped shape 20th C. American poetry, and Stanislovski’s writings on acting shaped the American “method”, our goal with projects such as ICARUS/RISE is to help introduce an Iranian theatrical/literary contribution to the American artistic landscape. ICARUS/RISE is available for touring. Contact us for bookings. 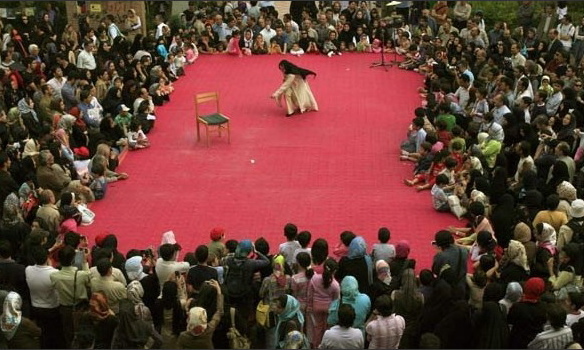 Memory of a Phoenix Feather: Iranian Storytelling Traditions and Contemporary Theater, an article by Niloufar Talebi in the July/August 2009 issue of World Literature Today. 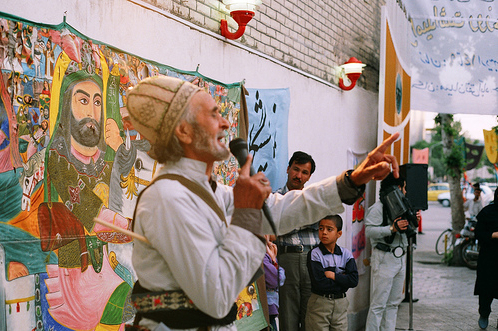 A brief history on the story-telling tradition in Iran and how it has evolved:Naghali, Pardeh-dari, Pardeh-khaani, Ghavali (minstrelsy), Shahnameh-khaani, are Iranian story-telling traditions, practiced usually in the streets and coffee houses, story-teller titles varying according to their style of story-telling and the subject matter of the stories told. Pardeh-dari and Pardeh-khaani are visual forms of story-telling done before a big cloth or canvas (pardeh) hung in a square, or the walls of a tea of coffee house, painted on which are the events of the story being told, which the story-teller would refer to during their recounting. 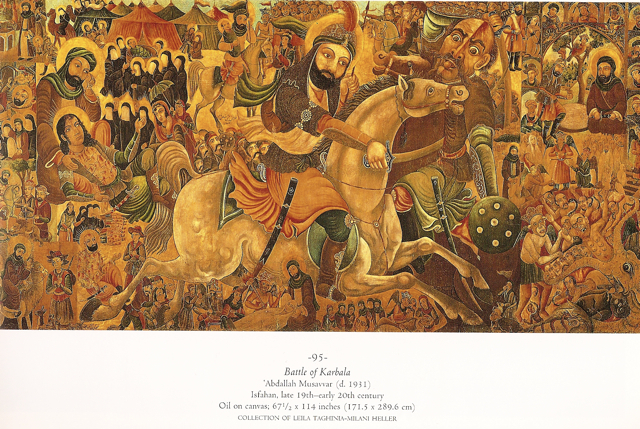 Coffee house paintings are Iranian-style paintings, in the tradition of miniatures, but with European techniques and material, oil on canvas or cloth, which people in the streets and bazaars started to develop about 80 years ago. This was an attempt to distance art from royal courts and bring it into the hands of the people. Unknown artists who had gained experience in tile paintings, were inspired to create simple images on coffee house walls by the work of story-tellers and Shahnameh-khaans (those reciting the Book of Kings by Ferdowsi, which is in 50,000 couplets, and contains the history and epics of the Persian people from the Creation up to roughly the 7th C. before the Arab/Islamic invasion). 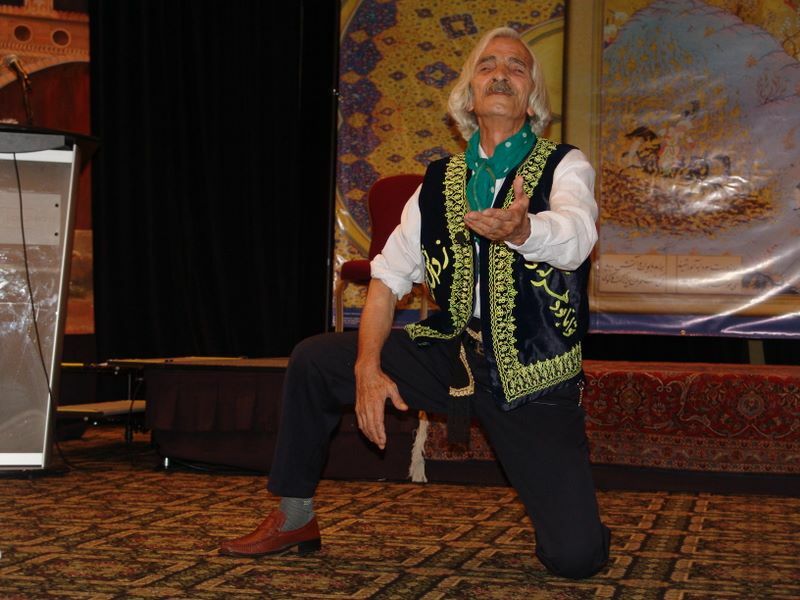 Our work is inspired by Iranian story-telling traditions. 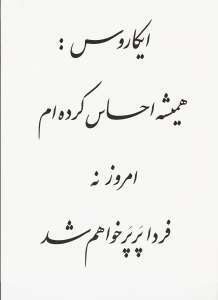 We perform new and contemporary Iranian poetry as our content, in both the Persian original and English translation. We also use multimedia video projections to create our Pardehs, and bring in other artists such as dancers and musicians on stage. We hope that this theatrical/literary tradition can find a place in American mainstream arts one day. 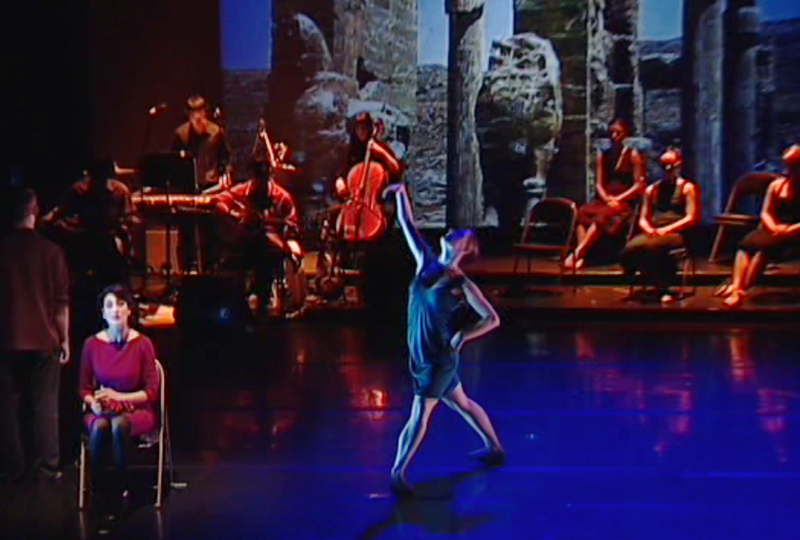 To read about multimedia shows, ICARUS/RISE, and Persian Rite of Spring, scroll down and visit links about the making of the show, the collaborative artists, and view youtube clips. 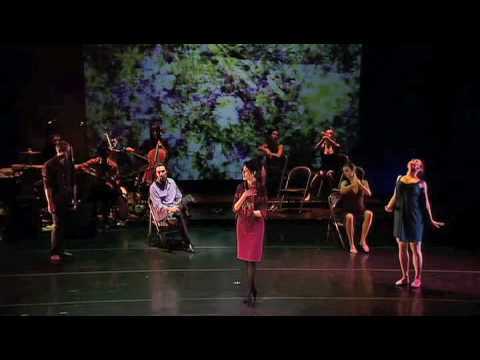 Below you can view footage from the live performance of Four Springs, which premiered on January 25, 2004, at ODC Theater in San Francisco, and later performed at the Heritage Theatre in Campbell, CA on May 15, 2004. 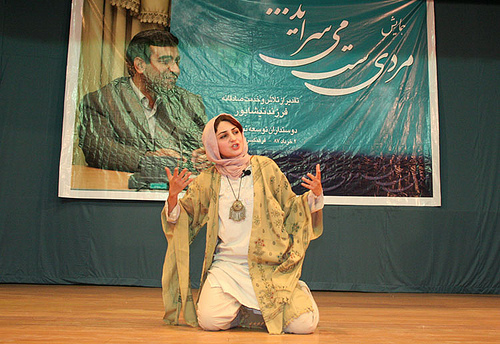 Four Springs was directed by Zara Houshmand, co-produced by the Translation Project and Afsaneh Art and Culture Society. Four Springs was based on the poetry of Partow Nooriala, Abbas Saffari, Ziba Karbassi, Majid Naficy, Reza Framand and Saghi Ghahraman. Midnight Approaches, our DVD of short films was based on Four Springs. This is a clip from another performance of Four Springs on May 15, 2004 at the Mexican Heritage Theater in CA. 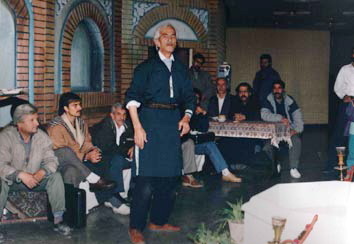 You can compare this performance of Saturday Night Dinner, a poem by Abbas Saffari, to its premier performance on January 25, 2004 shown above. Design by Likoma | Powered by WordPress The Translation Project Copyright © 2019 All Rights Reserved .